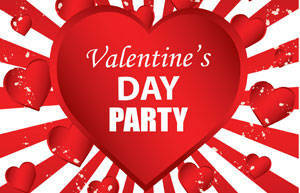 GALION — St. Francis Knights of Columbus Council 1234 is sponsoring a Valentine’s Day party Saturday, Feb. 9, 2019 from 7:30-11:30 p.m. at Galion St. Joseph Activity Center, 115 N. Liberty St. The party includes cheese, wine and chocolate and as much socializing as you wish to do. Bring your own wine and spirits. Bring appetizers and snacks for your table to taste and share. Cheese, vegetable snacks and chips will be provided with your paid admission. Listen and dance to music by DJ Andrew Finnegan. There will be door prizes that include, wine, roses, cheese and chocolates. Tickets are $10 and include one door prize ticket with each. Tables may be reserved in advance for $100, which includes 10 admission tickets and 10 door prize tickets. For information, tickets or to reserve a table, call Rich Henry at 419-468-4600.